Paired with sleek basics, our open-front ruana steals the show. 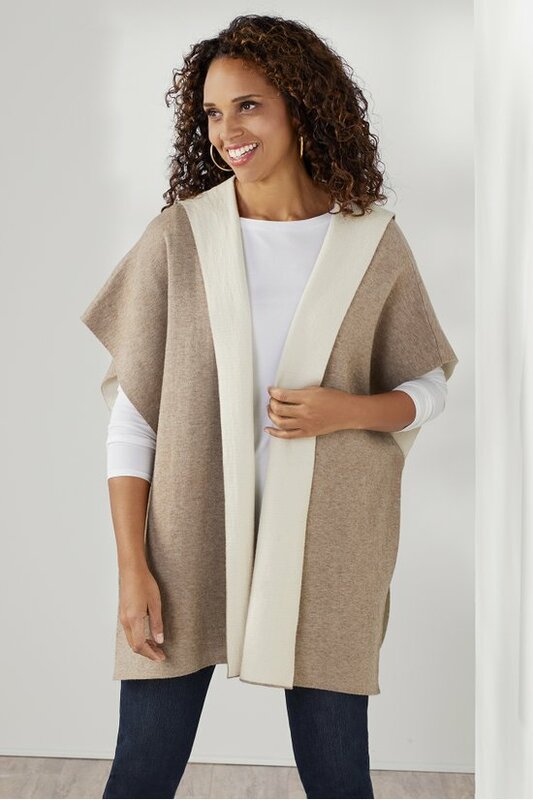 Enjoy the elegant drape of a cape, with coat-like coverage, when you don this hooded, duo-tone classic in an extra-soft blend. 31-1/2" long.